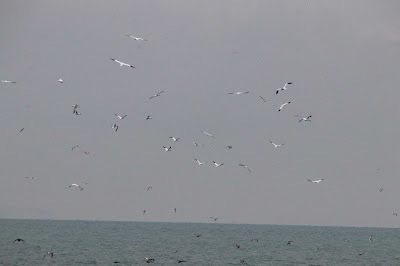 The beach continues to be the place to be with thousands of seabirds passing through or feeding offshore. In two hours watching this morning over 7300 auks were counted along with 120 Red-throated Divers, three Great Skuas and two Mediterranean Gulls of note. Signs of spring movement also continued with 87 Brent Geese and 15 Teal heading up-channel. 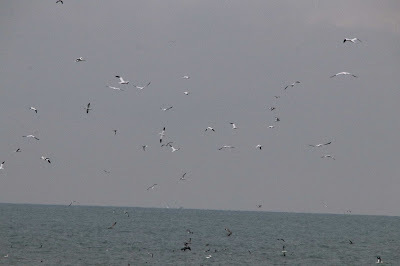 Both the first-winter Caspian Gull and juvenile Glaucous Gull were also seen. A Firecrest was heard in the Moat. 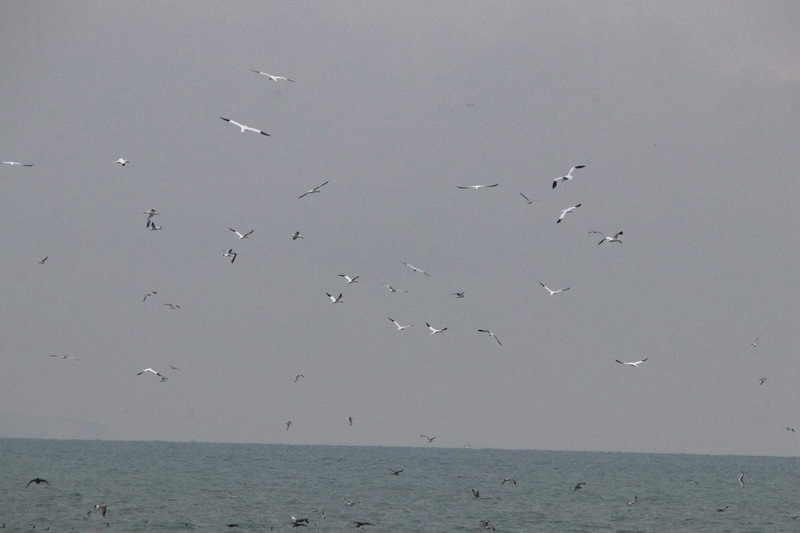 With so many seabirds offshore I thought might be interesting to look at how much food they might be eating. 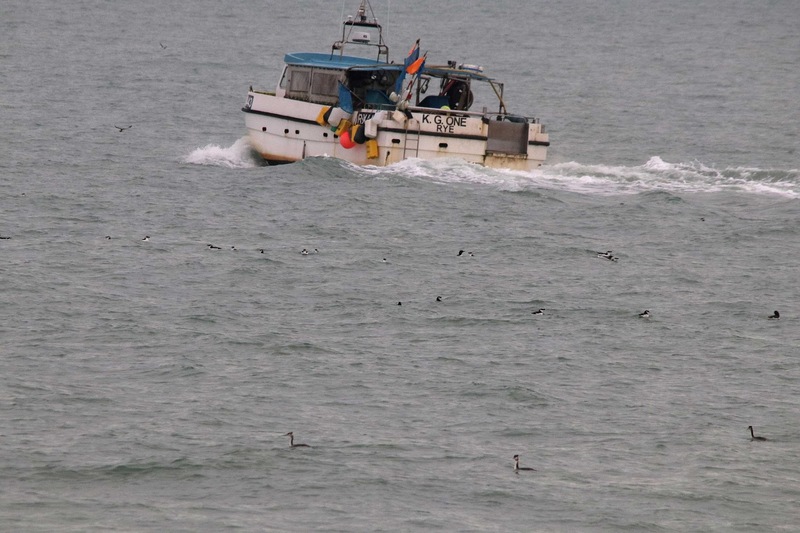 Using fairly ball park figures for daily consumption of fish by some 6000 Cormorants, 300 Red-throated Divers, 1500 Great Crested Grebes, 200 Gannets and 7000 auks it comes out somewhere in the region of a staggering 6.5 metric tonnes of fish per day. 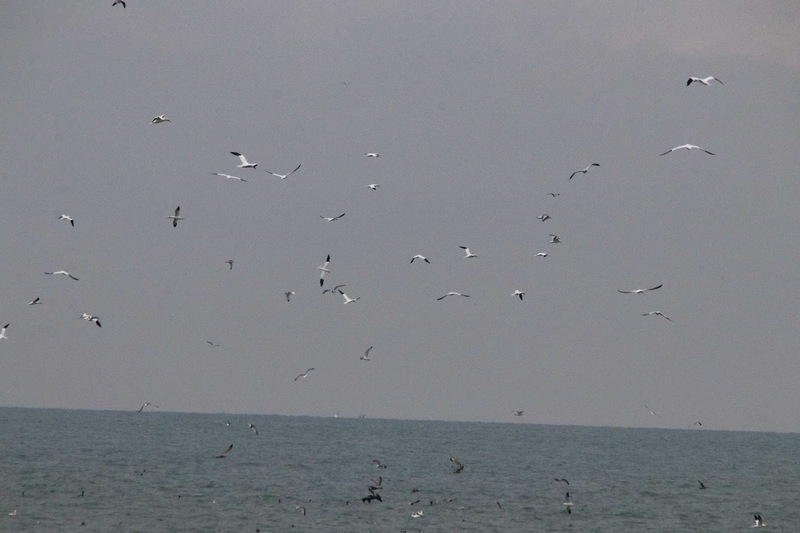 In comparison, the effect of the one Grey Seal seen offshore today on the fish populations would be negligible.